What do you guys think? If you have an opinion, leave a comment! And make sure to check back tomorrow for I will be hosting my very first give-a-way, and it shouldn't be missed! Ohhh I love these! just got two! THANKS!! I went and baught the "tiered ruffle shirt" from express last night...oh ya baby, only 15 dollas! cheaper than the jcrew and modcloth one. Wow, I am in love with the third one! 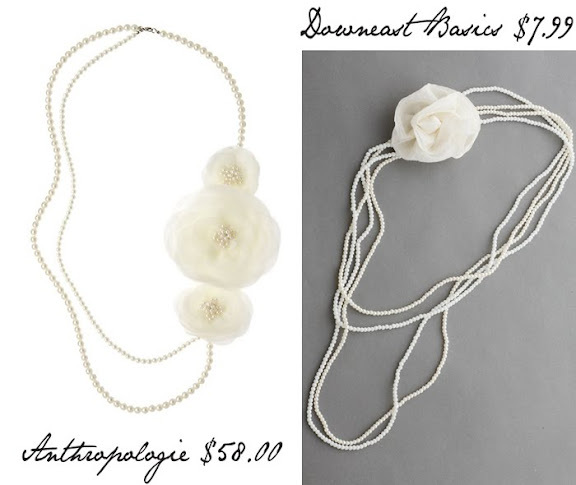 There are a couple of these flower/rosette necklaces that I have seen around and I want them all! these are great! Thanks for the great find! I love these! I never look at thier jewelry so I had no idea. Thanks for the find! These are so sold out online... and I might have bought the last one at the Sugarhouse store right out from someone elses nose. Oops. Sorry girl at the store who didn't look at the manequinn! But I think they held one for you at Foothill, so I don't feel so bad. These necklaces are history, and apparently won't be reordered. Sob.